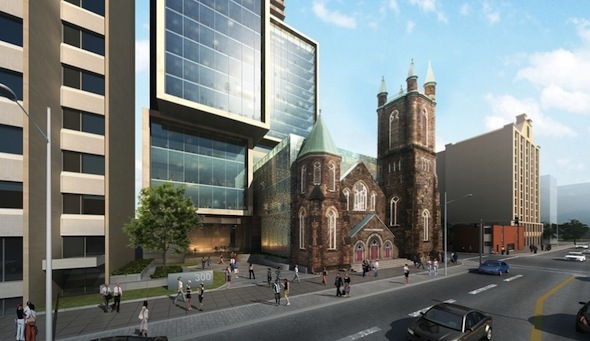 There’s just something about historic churches that make a lovely base for condo developments – like, aside from all of the unused airspace above a low-rise building in a prime real estate location. Bloor Street United Church was built in the Norman-Gothic style at Bloor and Huron streets more than 125 years ago, around 1886. Rich in local history, the church is known for its social services and as a progressive force within the religious community – but the building itself needs a bit of work (and a lot of money) to bring it up to code. 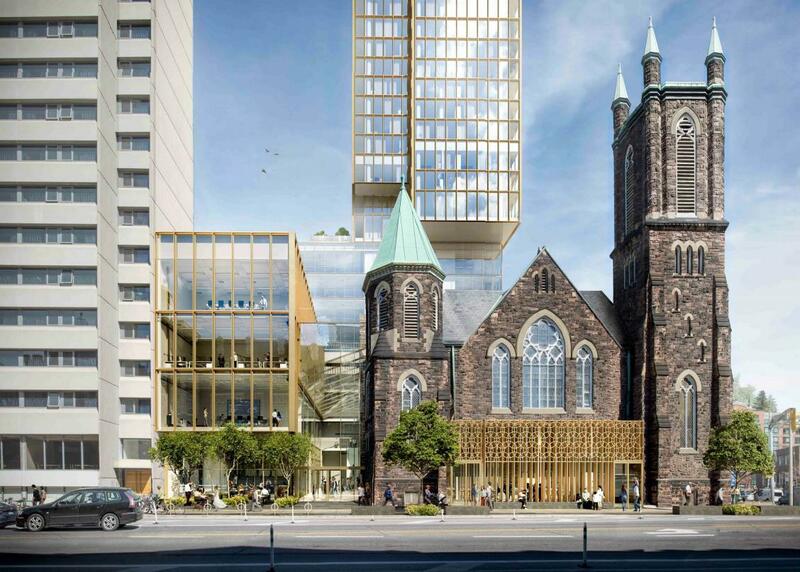 So, in an effort to fund the heritage building’s preservation and keep up with its community outreach activities, the church wants to build a condo tower right on top of itself. 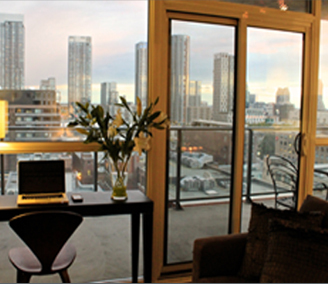 That’s right – this is Bloor Street United Church’s idea, and it’s a pretty cool one. 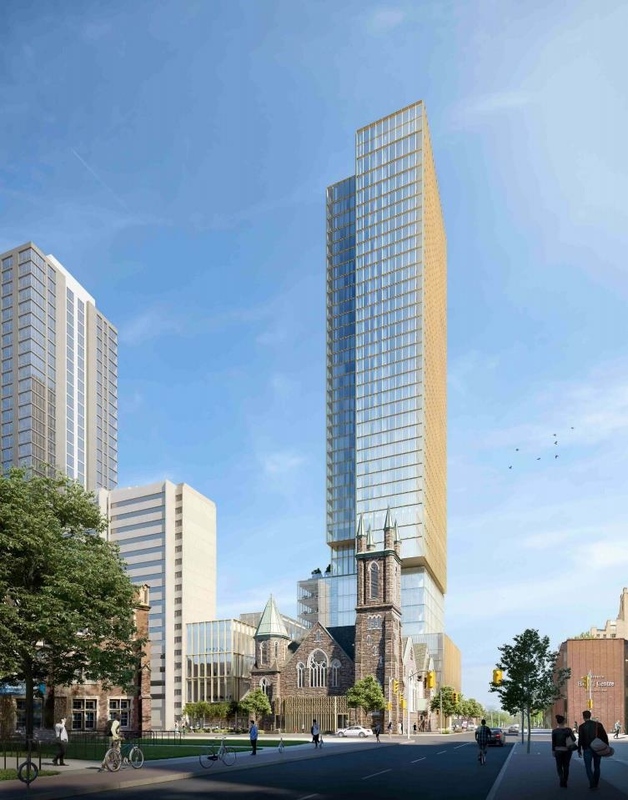 Represented by Northrop Development Inc., the church has partnered with Collecdev to develop a 38-storey mixed-use tower and podium. It will be designed by KPMB Architects, with heritage elements overseen by ERA Architects. 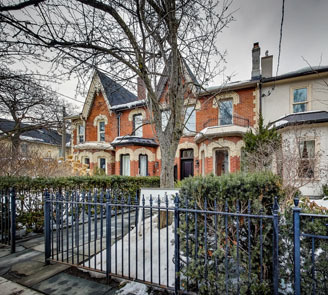 The church submitted a rezoning application to the City of Toronto last month in the hopes of getting started on a mixed-use building with office, residential, retail, cafe, community and worship uses. “The submission marks the beginning of the formal process of working with the City to determine the appropriate outcome for this redevelopment,” wrote the church on a website set up for the development project. The proposal also includes the redevelopment of Pidgeon House, an adjacent building on Huron Street owned by the church. If built according to plans submitted to the city, the proposal will result in 259 new residential units, 5,573 square metres of new office space, and 3,736 square meters of church space. A new promenade is proposed around the property and the church space will be “an adjustable sanctuary space” for use by people of multiple faiths, as well as for community functions. 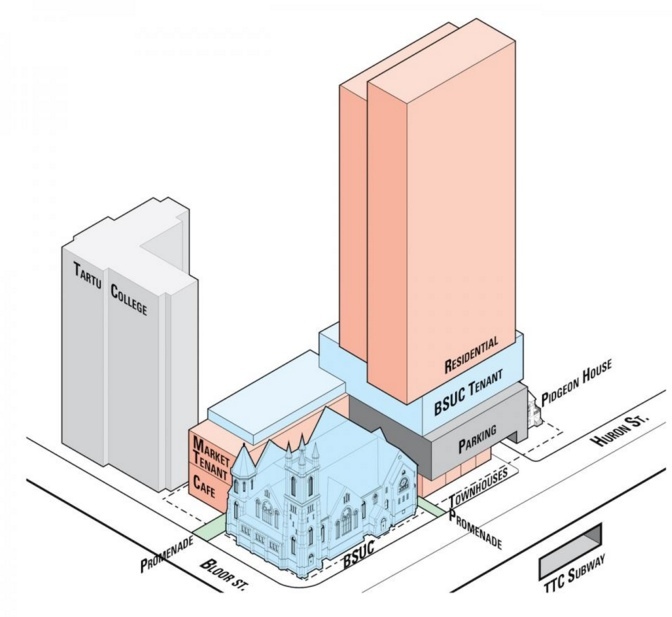 The development would also include a public three-storey atrium that serves as a climate-controlled, indoor connection between Bloor and Huron Streets, which could be huge for people who live, work and study in The Annex.